We're the only energy supplier that lets you decide where we source your renewable electricity from. 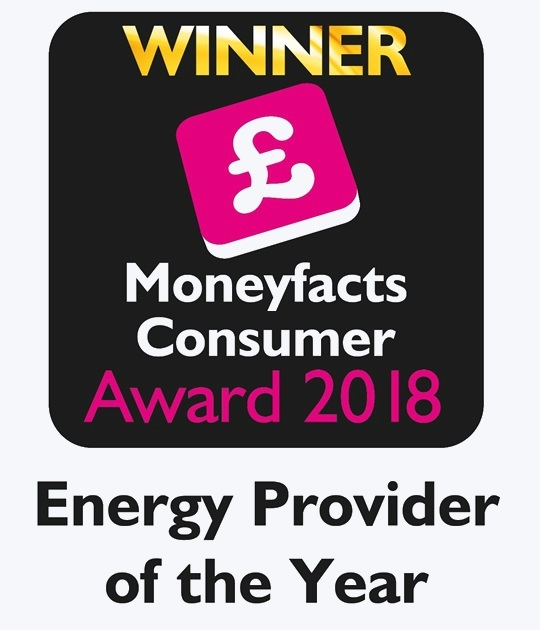 Our customers can choose whether they would like solar, wind, biomass, hydroelectric or tidal and we will ensure that our reported Ofgem electricity fuel mix will be reflective of how our customers voted. Life's too short to be worrying about whether you've picked the best tariff. That's why we’ve kept things simple! We only offer 1 fixed rate tariff at any one time, so there's no confusion as to which tariff to choose. We're also committed to always offering great prices and our Low Price Commitment is our promise to you that you'll never need to shop around again. We are proud that 100% of the electricity we supply is from renewable sources, and at no extra cost. We've partnered with generators from across Great Britain, from wind turbines in Anglesey, a solar farm in Cambridgeshire, or one of the first UK tidal power stations in Northern Scotland, we're able provide our customers with great value green energy. Hopefully you'll never need to speak to us, but if you do, our UK based customer service team are on hand to help. We're very proud of our customer service team who have helped us achieve a 5* TrustPilot rating. Whether you prefer to call, Tweet, Facebook or email, we’ll work hard to resolve your issue right there and then. Keep on top of your energy anytime, anywhere. 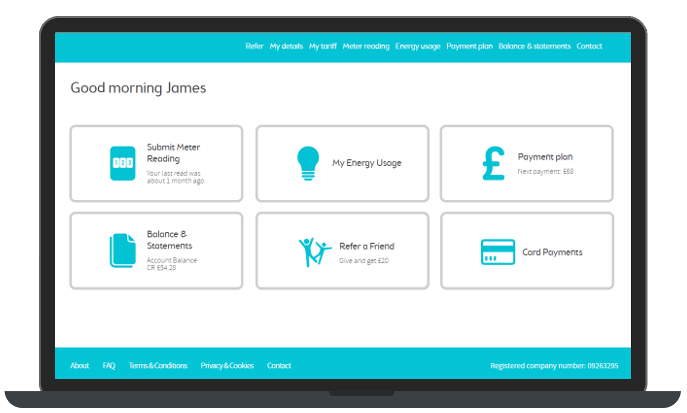 Your online So Energy account lets you submit meter readings, check your energy usage or download your bills whether you're at home or on the go.